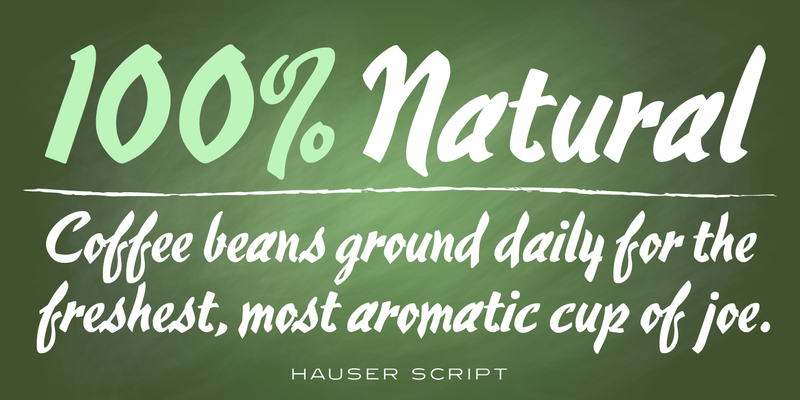 Hauser Script is a freely drawn brush script typeface, exclusively licensed from the Ludlow Collection. 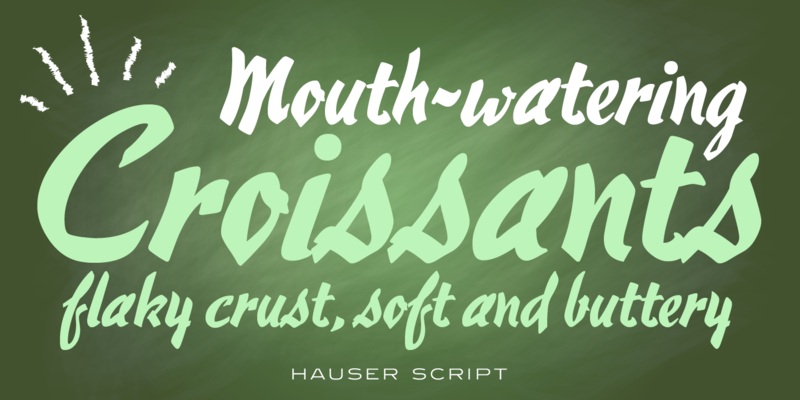 Designed in 1936 by George Hauser for Ludlow, Hauser took advantage of the slanting matrices of the Ludlow machine to create what is possibly the most informal of American brush scripts. 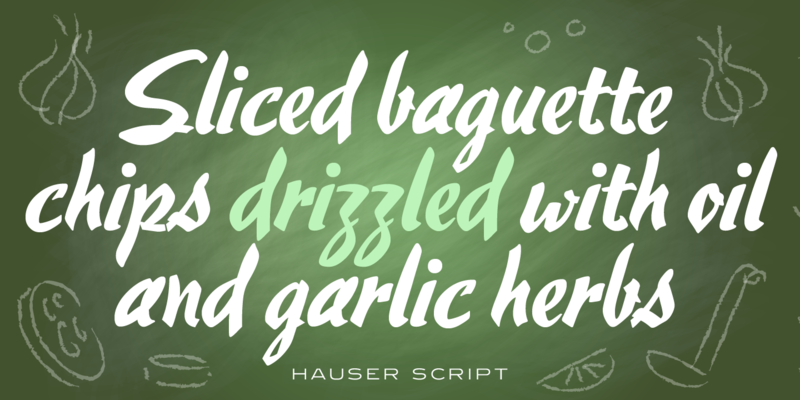 Steve Jackaman (ITF) created and produced a digital version of the typeface in 1998. 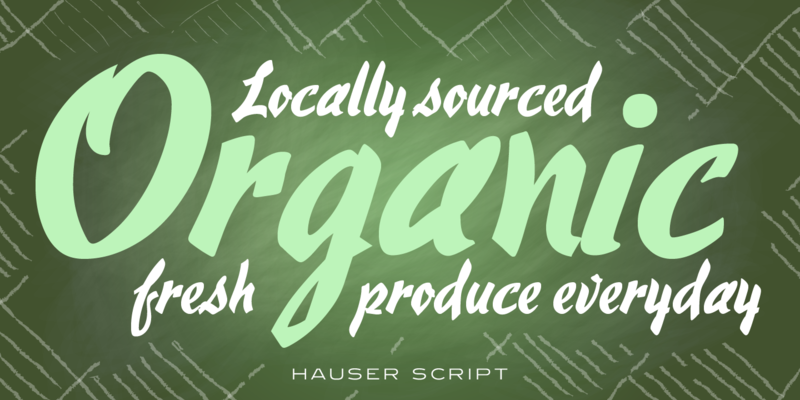 Hauser Script has a graceful, calligraphic look that brings class to any project at display and subhead sizes. 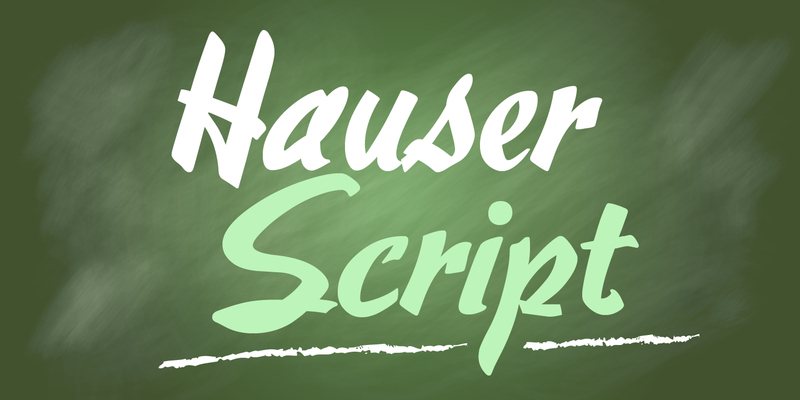 Hauser Script is a trademark of International TypeFounders, Inc.